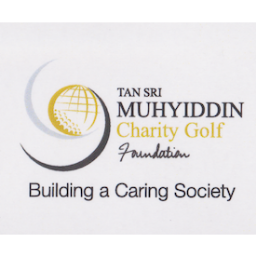 SHAH ALAM: The annual Tan Sri Muhyiddin (TSM) Charity Golf Challenge has helped hone the skills of budding Malaysian amateur golfers who are now playing internationally. TSM president Tan Sri Megat Najmuddin Khas said former champion Gavin Kyle Green, 20, emerged first in a ranking amateur tournament in the United States just two weeks ago. “He is now ranked the number 11 amateur in the world and he was our champion in 2009 and 2010,” said Megat Najmuddin after the closing of the Proton TSM Golf Challenge 2013, at the Glenmarie Golf and Country Club in Shah Alam. SHAH ALAM: Ashley Lau Jen Wen was crowned as girls’ champion in the Tan Sri Muhyiddin Yassin Golf Challenge staged at Glenmarie Golf and Country Club, Shah Alam from Dec 5 to 8. 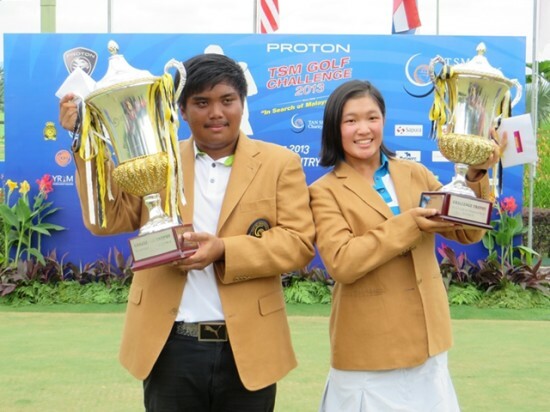 The 13-year-old golf ace from Bintulu edged the more experienced SEA Games-bound Nur Durriyah Damian after trailing by two shots but staged a good fight back over the last nine to clinch the season ending golf title. Shah Alam: It was a red letter for East Malaysian golf on Sunday as Sabahan Solomon Emilio Rosidin and Ashley Lau Jen Wen of Sarawak emerged the boys’ and girls’ champion respectively at the TSM Golf Challenge. 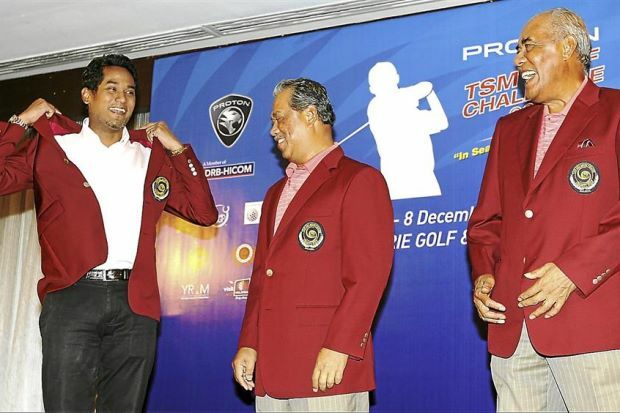 SHAH ALAM: Attractive golf scholarships worth RM100,000 apiece will be on offer for the overall boys and girls champions during the 8th edition of the TSM Golf Challenge later this year. Returning to the familiar settings of Glenmarie Golf & Country Club in Shah Alam for the third consecutive year, the prestigious junior amateur meet from December 5-8 has also secured the support of national automaker Proton Holdings Berhad as the title sponsor. 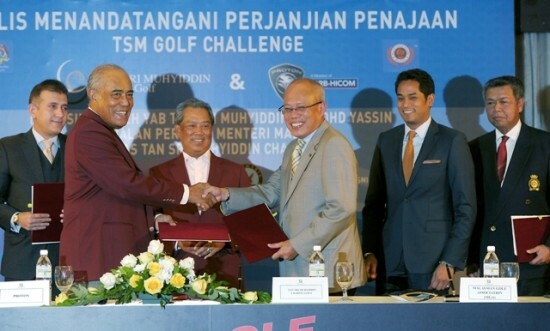 SHAH ALAM: The Tan Sri Muhyiddin (TSM) Golf Challenge taking place this year is going big, with a main sponsor and a chance for the winners to compete in major professional events. Proton Holdings Berhad has come on board for the TSM Golf Challenge, currently considered one of the top amateur golf events in the country. And the organisers are offering the male and female winners a RM100,000 golf scholarship each. This year’s TSM Golf Challenge will be staged at the Glenmarie Golf and Country Club in Shah Alam from Dec 5-8. SHAH ALAM – Pemain Johor, Kelly Tan mempertahankan kejuaraannya buat kali ketiga berturut-turut dalam kategori wanita bawah 21 tahun pada Cabaran Golf Tan Sri Muhyiddin Yassin (TSM) di Glenmarie Golf & Country Club di sini, semalam.